While this fine selection of outdoor log tables is pictured outdoors, these pieces of rustic log furniture will fit just as well in a cozy log cabin as on your patio overlooking the lake. Whether you're serving watermelon on a hot summer day or hot chocolate on a cold wintry night, these log picnic tables will add a homey feeling to your rustic decor. Our rustic outdoor log furniture is constructed with the highest quality cedar logs.  Cedar contains natural oils which deter insects and decay giving you a longer-lasting, beautiful product. This rustic furniture is durable, comfortable, and attractive!